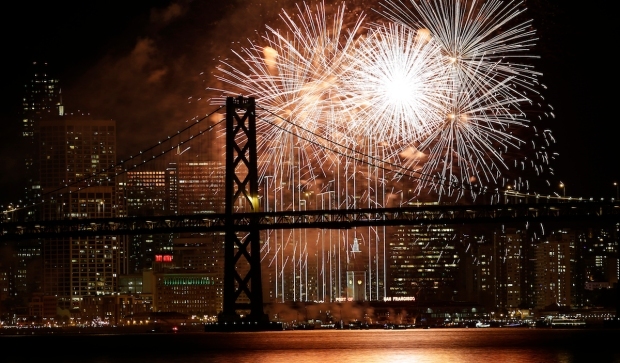 Thousands of people are expected to flock to San Francisco to usher in 2017 by watching the annual fireworks show along the Embarcadero. The police department is increasing security to ensure the crowd’s safety. Officers, in uniform and in plain clothes, are stepping up enforcement and will be on the lookout for drunk drivers. Officer say there are no known terror threats, but reminded people to alert someone if they notice anything suspicious or unusual. Public transit agencies are hoping New Year's revelers won't drive drunk and they're offering longer hours and sometimes free service. Christie Smith reports. Also hoping to dissuade New Year's revelers from driving drunk, public transit agencies are offering longer hours and sometimes free service. Caltrain and BART will run special train schedules into and out of San Francisco on New Year's Eve to encourage people to leave their cars at home. Caltrain will provide free rides starting at 8 p.m. Saturday and will run extra southbound trains from San Francisco later in the night in order to accommodate holiday passengers. Extra trains will depart the San Francisco Caltrain station every half hour starting at 12:45 a.m. and ending with the final train at 2:15 a.m., which is expected to be very crowded, according to the transit agency. Earlier Caltrain service on New Year's Eve will operate on a regular Saturday schedule and on New Year's Day, trains will run on a Sunday schedule. BART will run a standard Saturday service on New Year's Eve until 8 p.m., after which it will operate on a special service schedule until 3 a.m., according to BART officials. Most of the Bay Area’s buses, trains and other transportation agencies have an expanded schedule for New Year’s Eve. Pete Suratos reports. Trains will run every 20 minutes after midnight, with extra trains standing by in downtown San Francisco after the fireworks show. After 8 p.m., trains from the East Bay on the Pittsburg/Bay Point and Richmond lines won't stop at the Embarcadero station and passengers should exit at the Montgomery station for the fireworks show, BART officials said. Trains from the Dublin/Pleasanton and Fremont lines won't stop at the Montgomery station and passengers should exit at Embarcadero for the show. After the fireworks show is over, trains going toward Pittsburg/Bay Point and Richmond won't stop at the Embarcadero station. Trains to Dublin/Pleasanton and Fremont won't stop at Montgomery or the West Oakland station. Millbrae and Daly City-bound passengers should use the Montgomery station after the fireworks show, according to BART officials. SamTrans and Alameda-Contra Costa Transit will also provide free rides on all bus lines from 8 p.m. on New Year's Eve to 5 a.m. New Year's Day, according to the transit agencies.